Expected to ship in 31 days. 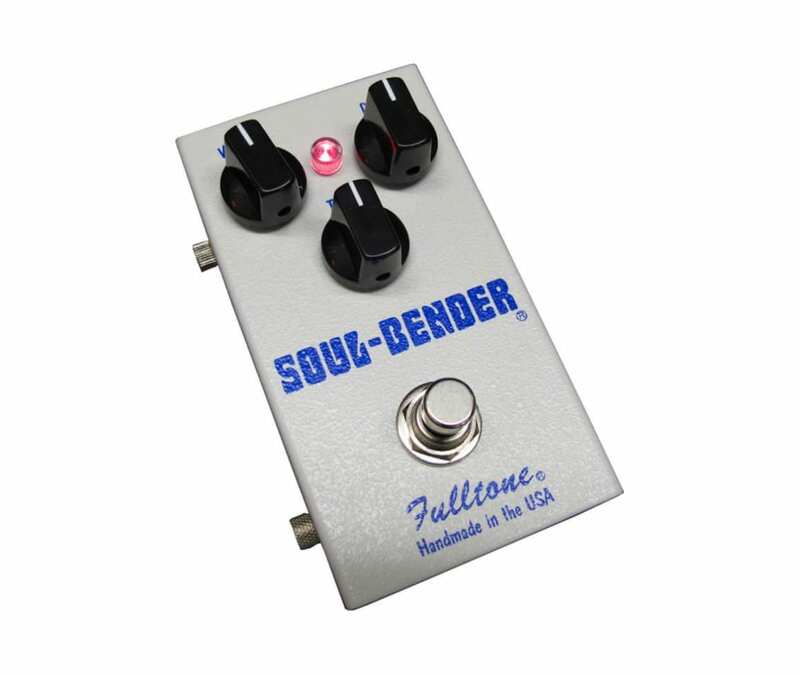 The Fulltone Soul-Bender is based on the legendary Colorsound and Vox Series III ToneBenders made by Sola-Sound/England in the late '60's that was used by Beck and Page on much of their circa 1968-70 recordings. Equipped with 3 gain-matched germanium transistor for a FAT, searing lead tone, Michael Fuller also made the Tone control response and range more usable and much less shrill sounding... Full clockwise is SMOOTH sounding. The SB-2 is in some ways better than the old Soul-Bender in that I am now having the transistors made-to-order just how I want them, and these wonderful skinny-tall TO-1 Germanium transistor (with atop hat brim) that have just the right characteristics, including the requisite low gain and low noise just like the vintage Sola-Sound pedals had. The Soul-Bender improvs on the original 60's design by offering more available volume, a more usable Tone control range, True-Bypass switching with my proprietary "silent switching circuit," better power supply filtering for less noise, and polarity protection to keep the sensitive Germanium transistors from damage....you cannot fry this pedal if you accidentally use the wrong power supply!